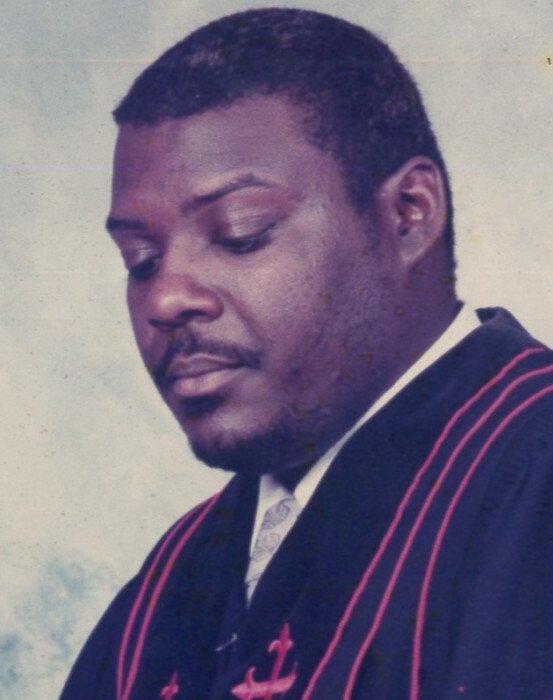 Obituary for Apostle Darryle LaVert Riley | Henry Funeral Home, P.A. Apostle Darryle L. Riley was born August 11, 1961, son of the late Henry Jones and Sarah E. Riley Woolford was called to rest on Wednesday, January 9, 2019 at his residence. Apostle Riley attended school in Philadelphia, PA. After graduation from high school, he joined the U.S. Army and served until 1985. He continued his education attending Stratford Career Institute (Washington, DC), Jacksonville State University (Jacksonville, Alabama) and Pikes Peak Community College (Colorado Springs, Colorado). Apostle Riley’s education allowed him to specialize in law enforcement security. He worked in various jobs which included security for major companies. Apostle Riley was Pastor of Faith Deliverance Worship Center in Cambridge, Maryland. His life was filled with many friends. Always willing to talk, listen and counsel anyone in need. He was an avid sports fan. His favorite team was his beloved “Steelers”. His hobbies consisted of traveling, driving and music. Affectionately around town, he was known as “The Oil Man” which was his small business that he enjoyed. Apostle Riley is survived by his wife, Singleton Riley; two sons from his union with Zoila Brome Greenidge, Jahat Riley (Maria) and Bernard Riley (Ana); six grandchildren; three uncles, Alfred Riley (Lena), Calvin Riley and Marvalee Riley; two brothers in-law, Algie Wheatley Sr and James Redmond Jr.; two sisters in-law, Joyce Opher and Robin Stanley and a host of many nieces, nephews, cousins and friends.